The Lady Eve's Reel Life: Celebrating National Classic Movie Day: "5 Movies on an Island"
Celebrating National Classic Movie Day: "5 Movies on an Island"
If by some bizarre quirk of fate I end up stranded on a deserted island that happens to have a reliable food source, lots of sunshine and balmy tropical breezes, I just might be blissed-out enough not to crave watching classic films. But probably not. A fundamental given for today's 5 Movies on an Island blogathon celebrating National Classic Movie Day is that some form of gizmo or gizmos capable of playing movies will be ready and waiting for me on my island and that I'll have access to five beloved films to watch until I'm rescued - hopefully, within a week or two. The five films I've selected to take along aren't necessarily my favorite films, though some are, but they are all films I've watched many times over without losing interest or affection. These films are all certifiable classics, all but one are black and white, all but one are from the 1940s and all but one are Hollywood films (vive la France!). 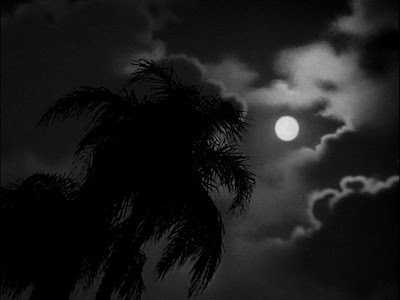 Casablanca (1942), Michael Curtiz. I don't know how many times I've seen this WWII classic-of-classics, but I've never tired of it and never will. It's the perfect Hollywood film: a bewitching storyline with a nice little twist at the end, impeccably cast stars (Bogart and Bergman! ), a surfeit of solid supporting players (Claude Rains, Paul Henreid, Conrad Veidt, Sydney Greenstreet, Peter Lorre, S.Z. Sakall, Dooley Wilson and others), a brilliant script by the Epstein brothers and Howard Koch, Max Steiner's stirring score, not to mention unforgettable renditions of "As Time Goes By" and "Le Marseillaise." 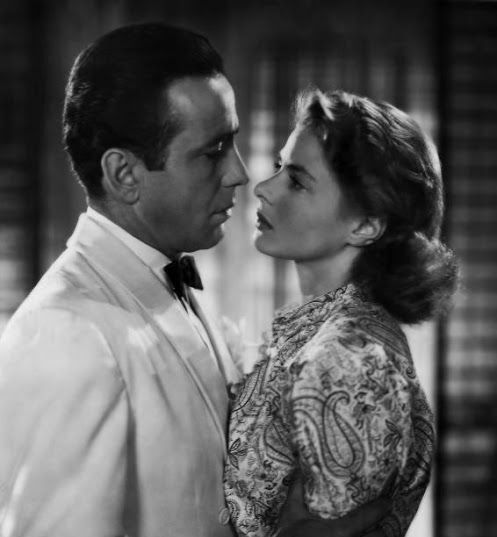 Casablanca was well recognized in its day, winning three Oscars (Best Picture, Best Director, Best Writing/Screenplay), and nominated for four more: Best Actor in a Leading Role (Bogart), Best Actor in a Supporting Role (Rains), Best B&W Cinematography (Arthur Edeson) and Best Music, Scoring of a Dramatic or Comedy Picture (Max Steiner). Nearly 75 years on, Casablanca has only become richer and richer with age. The Letter (1940), William Wyler. In the course of their long and fabled careers, Bette Davis and William Wyler made three films together. The Letter was their second and the high point of their collaborations; it also contains Davis's finest screen performance. The story, adapted by Howard Koch, was taken from a Somerset Maugham play that the author had adapted from his own short story and was based on a true story of British colonial "white mischief" in Kuala Lumpur in the early years of the 20th century. The film opens, literally, with a bang as Bette Davis, smoking gun in hand, fires repeatedly at a man who falls dead at the foot of her porch. We are instantly swept into a moody tale of intrigue and scandal. Davis's turn as the repressed, fiercely calculating wife of a rubber plantation overseer is the centerpiece of this intensely atmospheric masterpiece. Not to be overlooked, though, is James Stephenson, an actor whose life and career were far too brief, as her morally torn defense attorney. The Letter deserved every one of its seven Oscar nominations: Best Picture, Best Director, Best Actress in a Leading Role, Best Actor in a Supporting Role (Stephenson), Best Cinematography, B&W (Tony Gaudio), Best Film Editing (Warren Low), Best Music, Original Score (one of Max Steiner's greatest). Only a final scene, added at the insistence of the censors, detracts...but I always hit the "Stop" button and avoid it. I'm sure William Wyler would approve. Out of the Past (1947), Jacques Tourneur. The archetypal, and in my view ultimate film noir, Out of the Past has everything: a former tough-guy detective (Robert Mitchum at his laconic best) making a doomed attempt to live the straight life, an irresistibly doe-eyed beauty (Jane Greer) far deadlier than her sweet face and manner suggest, an ice-cold mobster (Kirk Douglas) out for revenge, and all the bleak atmosphere any noir lover could ask for. Nicholas Musuraca, the RKO cinematographer nicknamed the "painter with light," was responsible for the film's stunning Expressionistic camera work. Also adding style to Out of the Past's beguiling character are locations and sets depicting Lake Tahoe and Acapulco. My favorite film noir of all time. 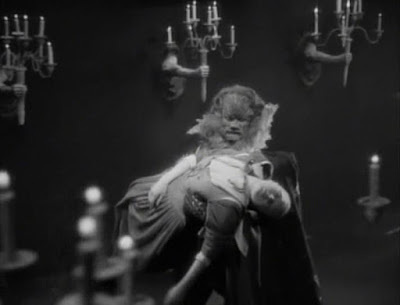 Beauty and the Beast (1946), Jean Cocteau. This is cinematic poetry that can be watched strictly for the experience of its gorgeous images. Unbelievable as it may seem, Cocteau created this elegant and dream-like fairytale in the midst of the leanest years of post-Occupation France. Production design (Christian Berard and Lucien Carre), set decoration (Lucien Carre and Rene Moulaert) and costume design (Antonio Castillo, Marcel Escoffier and Christian Berard) are all exquisite. Also superb are Georges Auric's spare and haunting score, Josette Day as Belle and especially Jean Marais as The Beast. Marais's Beast is magnificent, so appealing that his transformation at the end of the film disappointed some. Marlene Dietrich, who watched the film's first Paris screening with Cocteau, was one who was let down when the beast transformed into a prince, famously crying out at the screen, "Where is my beautiful beast?" I felt the same way the first time I watched this film. In French with subtitles, Beauty and the Beast requires no knowledge of French or even that subtitles be turned on, everything one needs to know is on the screen in Cocteau's incredible imagery. Breakfast at Tiffany's (1961), Blake Edwards. 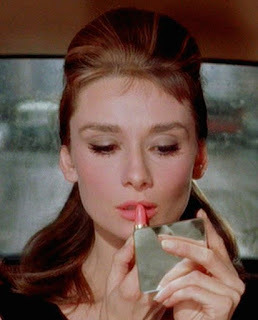 When feminist icon Gloria Steinem selected this film to present during her stint as a guest programmer on TCM last month, I was very surprised, mostly because I've always seen Breakfast at Tiffany's primarily as an archetypal '60s chick flick. But when she explained her deep affection for the film and her admiration for its central character, Holly Golightly (Audrey Hepburn), a young woman who dares to lead a free life, I totally got it. This film has been a favorite of mine since adolescence when I fell under the spell of Audrey's effervescent Holly, a free-spirited, so-called "party girl" who lives spontaneously and sometimes dangerously in Manhattan during its mid-century heyday. I wanted to grow up to have the glamorous/adventurous life Holly led, I wanted the soignee wardrobe (Givenchy), the hustle and bustle of the big city, the sophisticated men. And the freedom. As Steinem noted, "it was one of the first movies in which a woman was sexually free and not punished for it." True and most admirable. But it also provided the defining role of Audrey Hepburn's career and is without a doubt one of the great romcoms of the early '60s. Click here for more on the "5 Movies on an Island" blogathon hosted by the Classic Film and TV Cafe. Amazing list. So many of which I would describe as Essential. I think Bob Osborne already has. You have excellent taste, my dear- and a clear fondness for the beautiful noir shades of black & white. Musuraco, Steiner, Cocteau, Givenchy and the Epsteins are amazing desert isle companions. Well done! Thanks, Paddy. Sorry for the late reply, just realized there were a few comments I missed (2 months ago)! Yours is the second list where I find Out of the Past....now I'll have to watch it! You have an interesting selection of classics, and it's no surprise to find Casablanca among them. 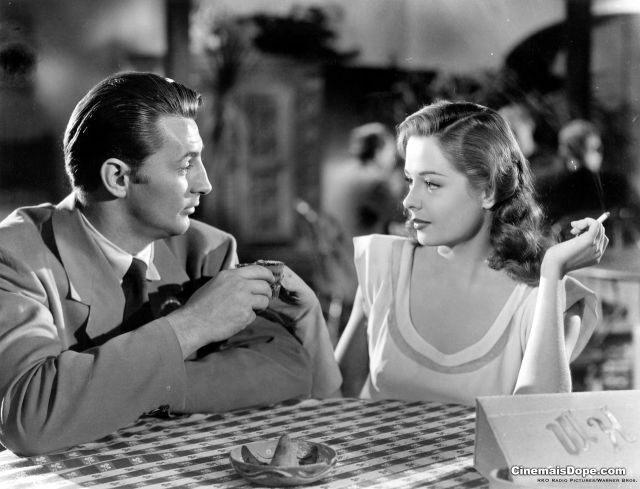 If you like noir at all, you must watch "Out of the Past"
Those are great picks! I love that you included Beauty and the Beast; it's such a treat visually. Out of the Past is one of my all-time top noir favorites, and The Letter always knocks me out right from that murderous opening. Not easy to winnow a list down to 5, but I'm happy with my list. Though checking those put together by other bloggers has made me wish I could take 10 or 20 films. I cannot remember how many times I have watched Casablanca. Definitely, a film one never gets tired of watching making it a perfect choice. Your two noirs are superb works and Tiffany is a wonderful love story. Sadly, I have yet to see Beauty and the Beast. I don't know how many times I've watched "Casablanca," "Out of the Past," "Beauty and the Beast" or "Breakfast at Tiffany's." Probably have watched "The Letter" less than 10 times only because I discovered it within the last 5 yeas. Hey, I don't know about being rescued in a week or two! Great list, Eve, and I'm delighted (but knowing you, not surprised) to see BEAUTY AND THE BEAST on it. It's an incredible, fantastical film. I almost included OUT OF THE PAST, my all-time favorite noir, and have seen it on a few lists today. I agree with you on the under-appreciated James Stephenson. He was also very good as detective Philo Vance in the "B" mystery CALLING PHILO VANCE. You could see his star potential even then. Thanks so much for participating! Great blogathon, Rick, I've enjoyed checking the other lists. Lots of wonderful films heading out to sea! By OUT OF THE PAST I passed out! What a trilogy you start with - three of my all-time faves. And how did you swing getting rescued? I thought this was for the rest of my life. :) Terrific read all around as usual. Ah, a list of high quality indeed! I don't think I've seen The Letter on anyone else's list. It certainly is an inspired choice - and endlessly watchable. Great post, my friend! Thanks, Marsha. 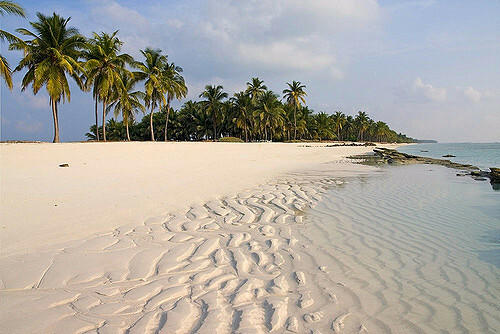 Watchability was my by-word, God knows how long I might be sitting on that island. Be still my heart! "La Belle et La Bete" is a masterpiece! The first time I experienced this visual splendor was because someone who won a contest in the little film society my husband and I organized selected it for her viewing prize. This was about 25 years ago and it left the dearest impression on me. I truly enjoyed your list and applaud you for this most excellent selection! Who wants rescued with a list of movies like that! And Robert Mitchum? yes-please! Robert Mitchum...the Beast...Bogart as Rick, yes-please to them all! Yes for Casablanca! I vowed to watch The Beauty and the Beast in 2016, because I've been meaning to do it forever. And the "sexually free" observation about Breakfast at Tiffany's makes so much sense - and I hadn't realized it until now. You will be enchanted by "Beauty and the Beast," Le, and I hope you'll blog about it. I saw The Letter for the first time only a couple of years ago and loved it. Davis is fantastic and it's just a great story. Since then, I also saw the original Jeanne Eagels silent version which is also good and worth seeing for Eagels performance. I saw a Jeanne Eagels sound version (1929) on TCM a few years ago. Her performance was amazing, especially in comparison to most film performances of that era. The 1940 version is genius, though. Wyler & Davis + James Stephenson, Gale Sondergaard, Victor Sen Yung & Herbert Marshall - not to mention Tony Gaudio's cinematography and Max Steiner's distinctly moody score. Hollywood at its "golden era" finest.